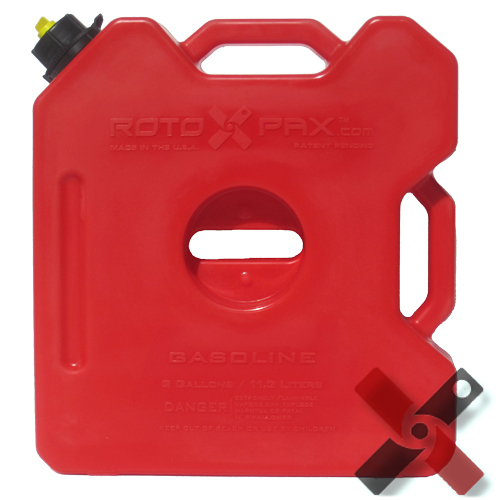 Rotopax 3 gallon gas container, works with Rotpax mounting brackets. Rotopax fuel pack systems is perfect for any expedition. Rotopax products are proudly made in the USA using a roto-molded patented process.